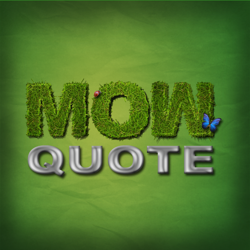 Mow Quote is business management software ideal for Lawn Maintenance businesses , allowing the user to create professional Quotes and Invoices straight from their iPhone. * Personalize your forms with your Company name and countries tax codes. * Forms saved as images to allow easy emailing to insurance companies or customers. * Customizable labor prices, tax codes, and all service names. * Change small, medium and large prices for all services from your phones settings or simply enter a price manually. 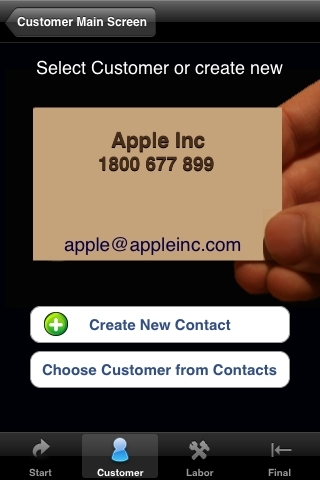 * Create a new customer or select from your phones Contacts. 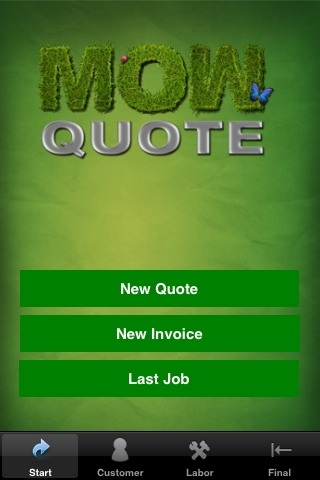 * Adjustable incremental Quote and Invoice numbers to assign to different employees. 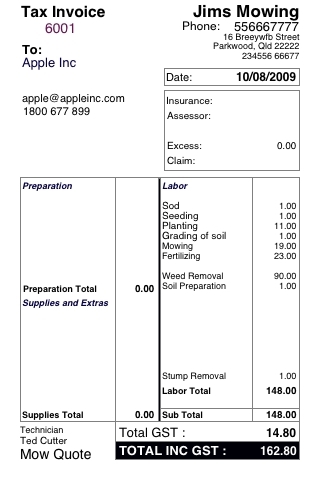 * Give a discount of labor total with easy slider function.